I absolutely love cookbooks. Don’t you? 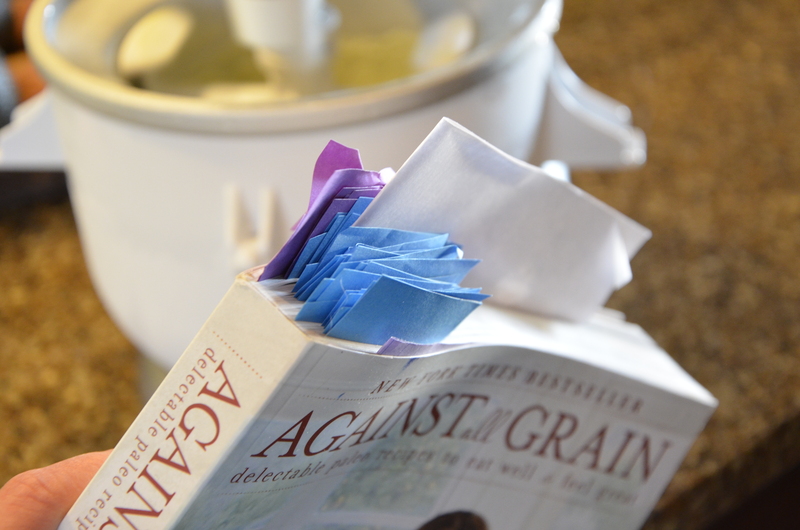 When I buy a new cookbook, I go through it page by page and place a sticky note on the recipes that interest me. My cookbooks get dog-eared, spilled on, written in. You know…used properly. 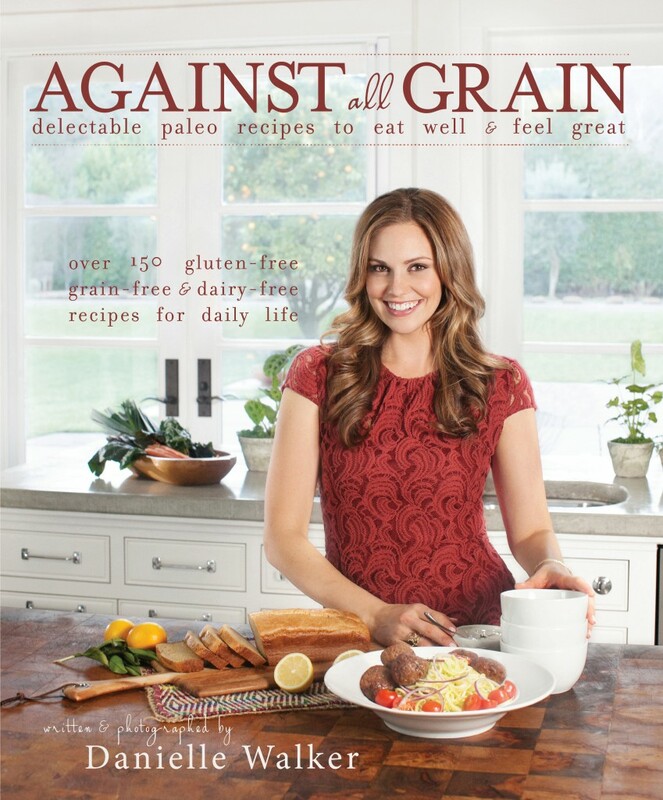 Against All Grain has a lot of delicious looking and interesting recipes. A few days ago I made her banana bread. 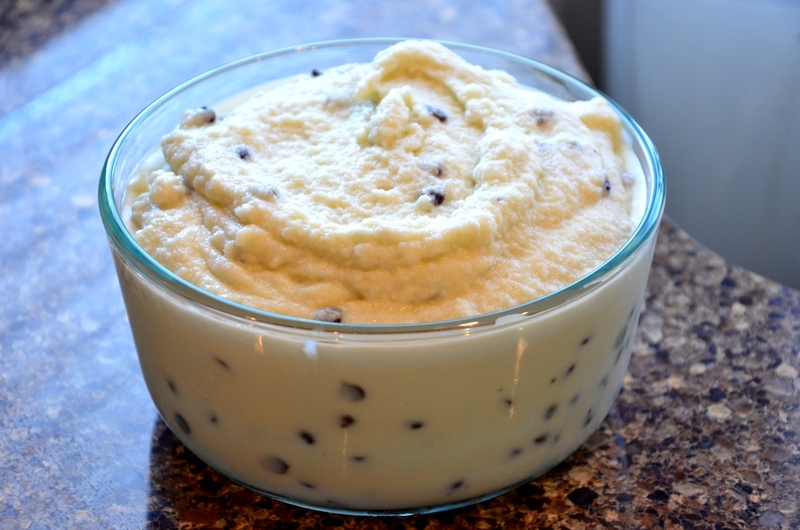 Yesterday I made a tweaked version of her mint chocolate chip ice cream. SO easy. 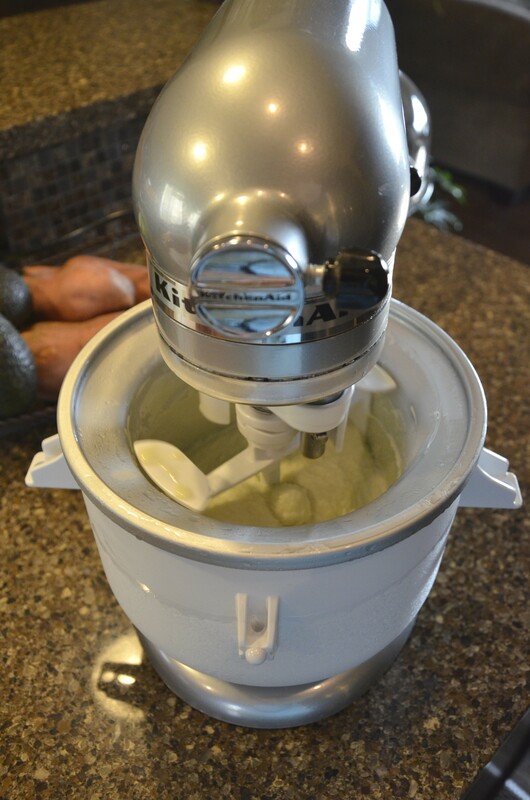 If you don’t have an ice cream maker and you own a Kitchenaid mixer, I would highly recommend the ice cream maker attachment. 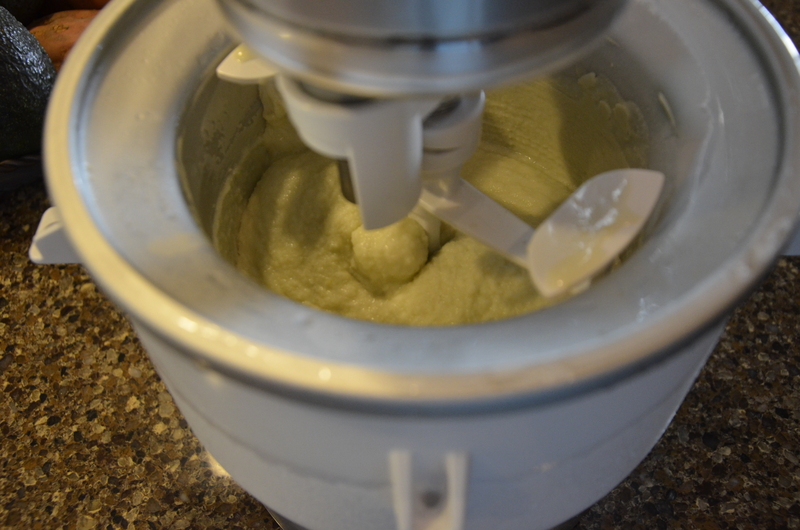 You pop it in your freezer over night, attach it to the mixer, and in 20 minutes you have soft serve ice cream. 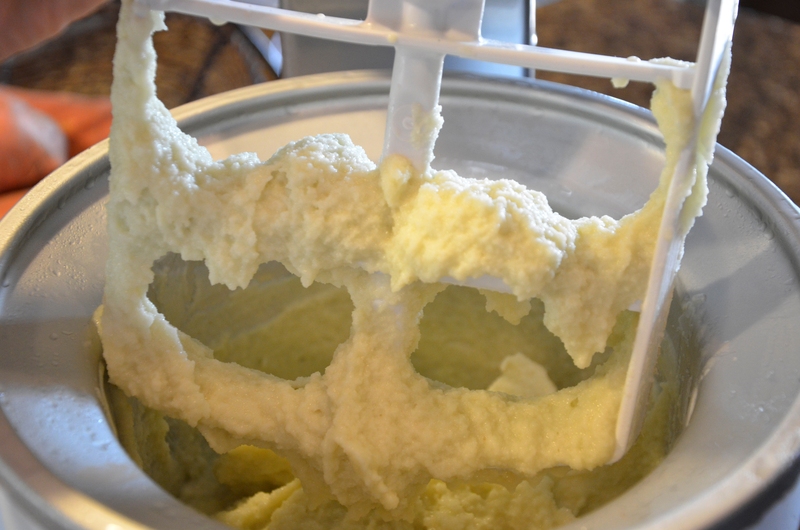 Leave it in longer and it will become more solid or you can put the ice cream in your freezer and it will firm up in a couple of hours. Measure the coconut milk into a small saucepan and heat until bubbles form around the perimeter of the pan. Remove from heat and whisk in the honey. Stir in the almond milk and the peppermint extract. Pour into a bowl and place in the refrigerator to chill for 4 hours. Pour the chilled mixture into a blender and add the avocado, blend until smooth. 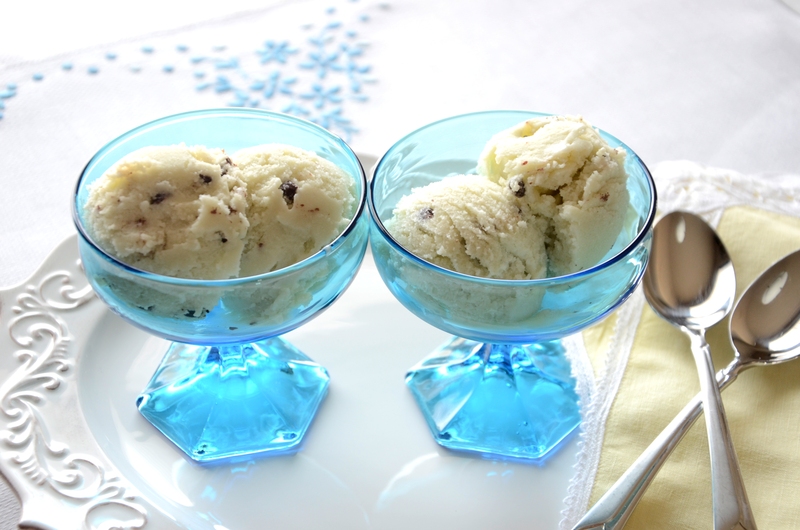 Pour in an ice cream maker and follow the manufacturer’s instructions. 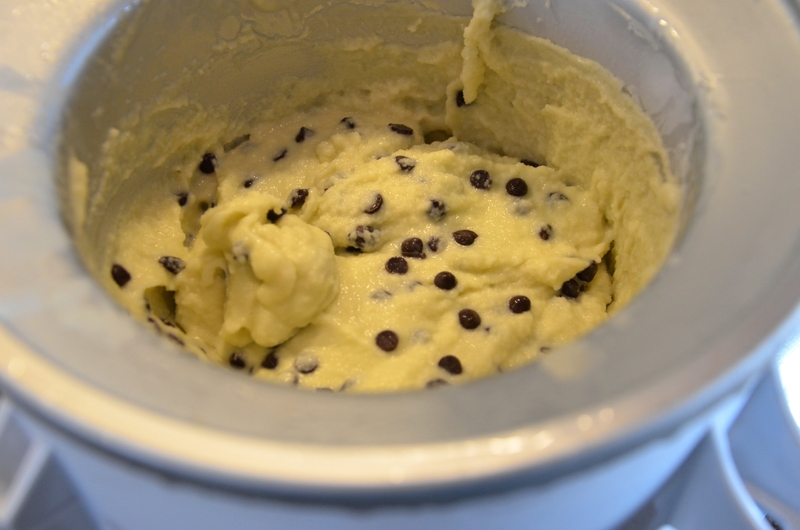 When it reaches a soft serve consistency (or a bit thicker), stir in the chocolate chips, spoon into a freezer safe container and freeze for about two hours. If you’re going to eat it later, let it defrost in the fridge for 1 hour before serving. Look at the sunrise this morning. Pretty neat coming over that hill. 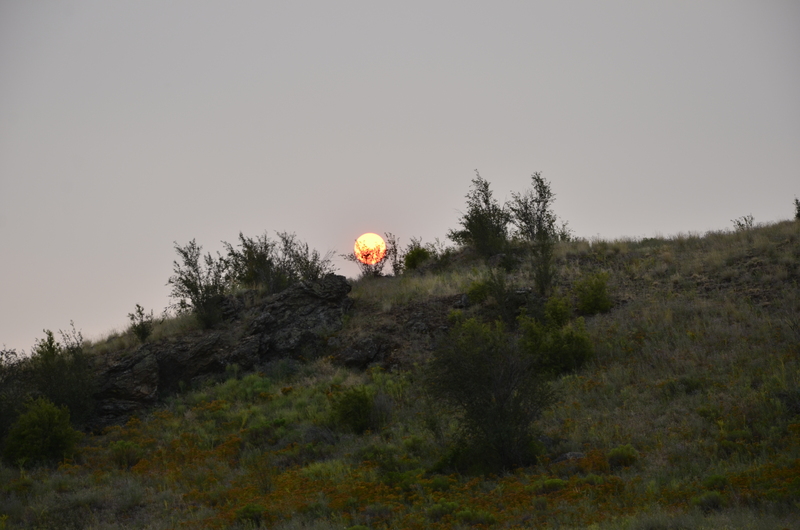 Bright orange though because there’s also a fire in the mountains nearby. Right now it’s not threatening any houses, let’s hope it stays that way. Notice anything else? 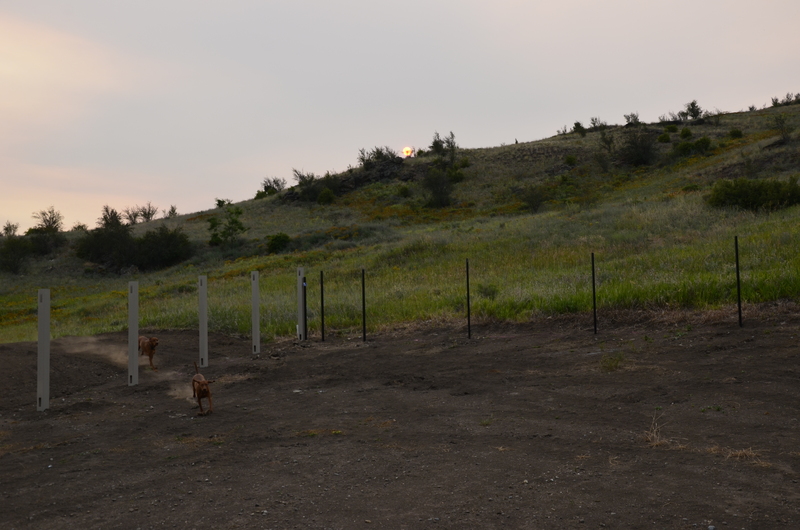 Besides the clouds of dirt billowing up behind the dogs…. You guessed it. The fence guys didn’t show up yesterday. After a kind but direct phone call to them this morning, I’ve been told they’ll arrive this afternoon. We’ll see. Luckily I had other things to occupy my mind and hands instead of fuming over the fence last night. I made the ice cream and then I potted and added some tall plants with the help of our son, to the “formal” living room and several other plants around the house. I put formal in parenthesis because we are anything but formal. Ha. We like to be relaxed and comfortable. So much more cozy with the addition of more greenery. I read online that a minimum of 15 plants are required for optimal house air health. We have far exceeded that amount, so bring on the healthy air! 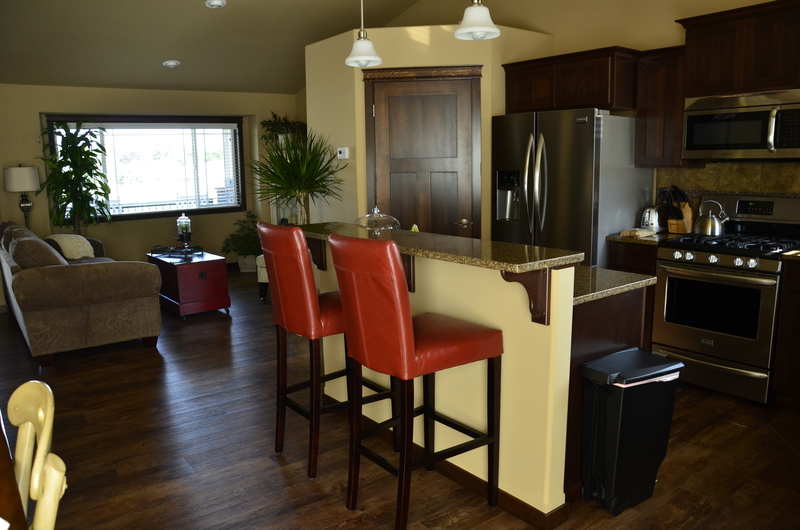 When we looked at this house (several times before deciding to buy it), I was concerned about all of the dark colors. 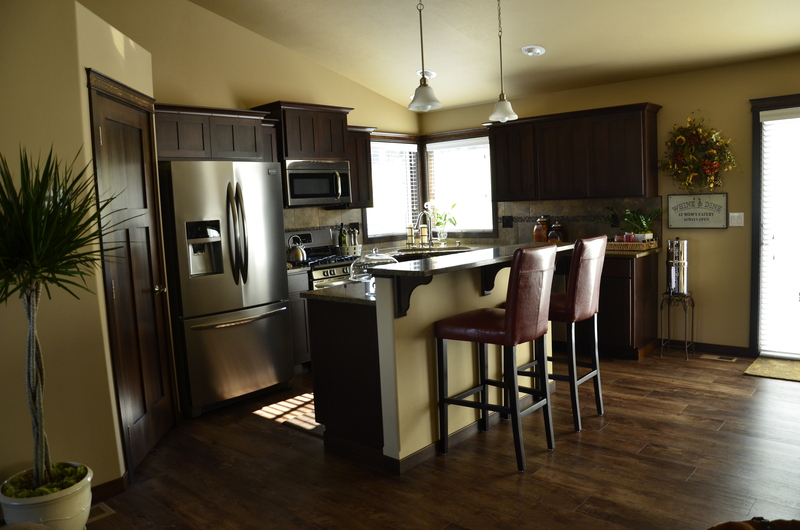 Dark floors, cabinets, doors and moldings, carpet, counter tops, tile, bathroom counters, etc. It’s a big difference from the bright and lightly colored house we had in New Hampshire. But now that we’re getting settled in, I love the rich, dark, colors. 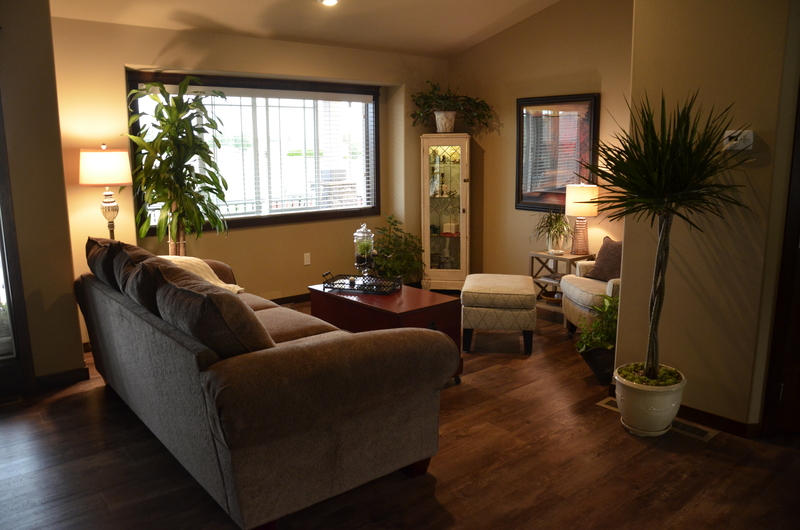 The open floor plan on this level allows for plenty of light throughout the day. 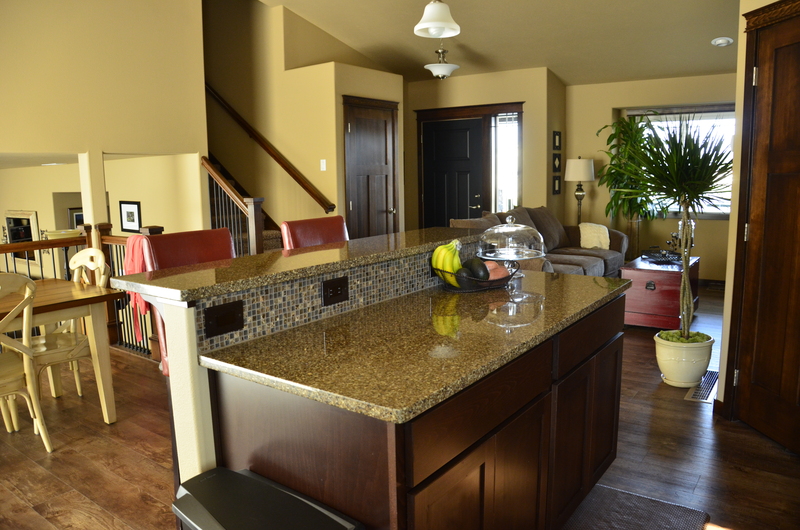 I’m really enjoying the quartz counter tops. So easy to work with and take care of. That’s all for now. I’m feeling like I may need a nap but instead I’m off to figure out something for dinner and maybe work on a good paleo bread recipe. 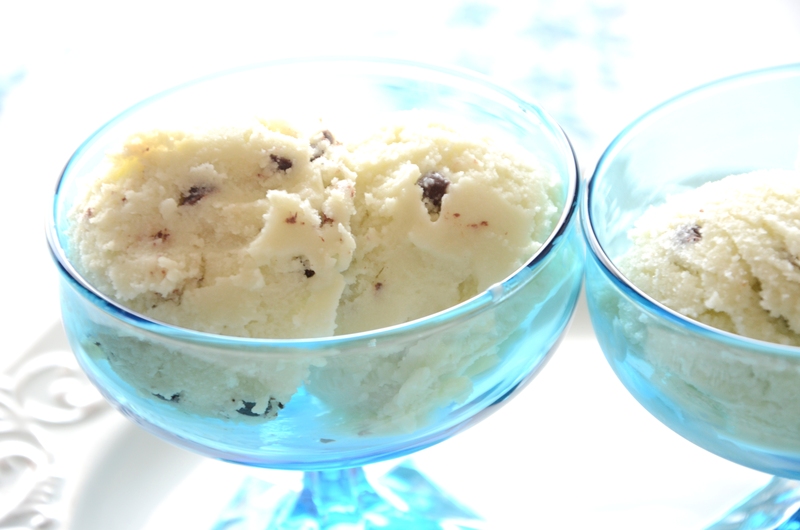 As an ice cream expert…I am happy to report two thumbs up!